Earlier this week I stayed up late but wasn’t having much look seeing any of the promised Orionids meteors. So instead I shot a spooky Halloween self-portrait. Believe it or not, this image is straight out of the camera. No Photoshop! “Light painting” is a technique where you use a long shutter exposure and a light source (flash, flashlight, laser) to “paint” light into the scene. 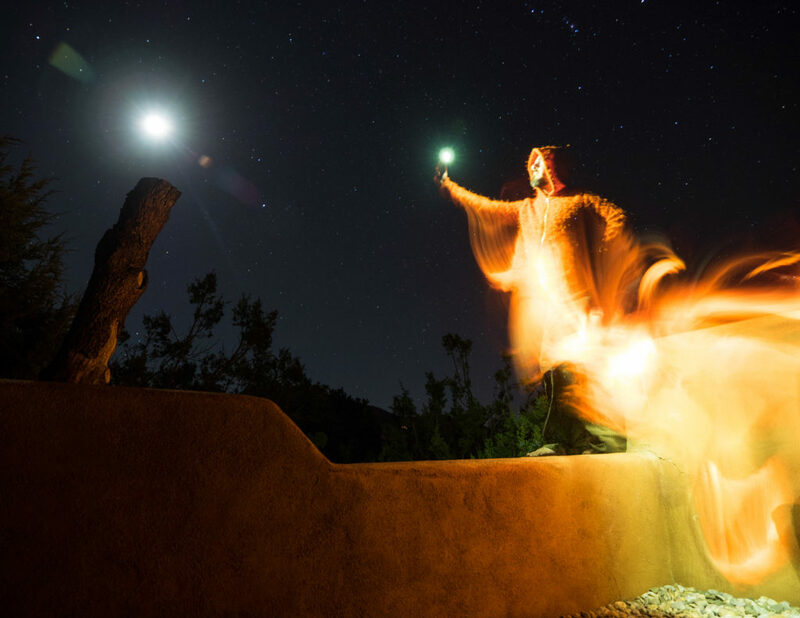 Here, I’m using my cell phone as the light source, and I’m moving around in my orange hoodie to create the ghostly effect. Here are some other images from the same shoot. You can see how stars actually move pretty darn fast, as these photos spanned only a 22 minute period.